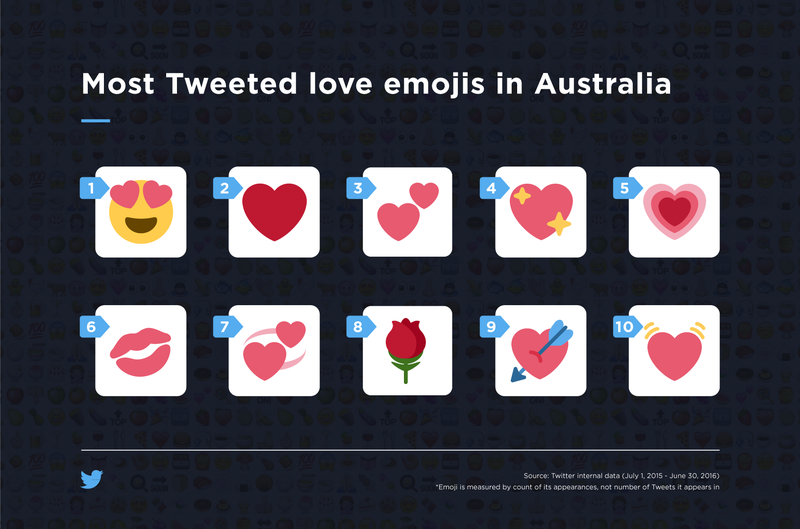 In celebration of The Bachelor Australia returning to Aussie tellys (and hearts) tonight, Twitter has unveiled the 10 most-Tweeted love emojis in Australia. Fans of the vicious love-fest will be able to share their love, support, and emotion throughout every episode as Bachelor Richie Strahan embarks on his quest to find love. In an Australian television first, Channel Ten is also partnering with GIPHY, the world’s largest library of animated GIFs, to host an official brand channel for the television, online and social media elements of The Bachelor Australia. From this week, fans can access and Tweet a host of official GIFs from The Bachelor Australia, with more GIFs published live each night as the action happens during each episode’s broadcast.